Congratulations to the worthy winners of the 2018 Alpaca Show, pictured here with their owners and Judge Mary-Jo Smith. 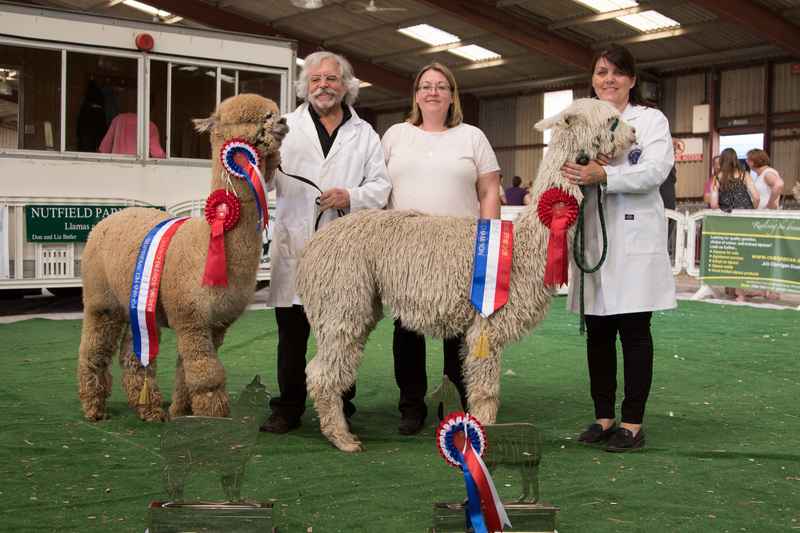 Supreme Champion Huacaya: Snowmass Velvet Voyager owned by Artwork Alpacas, West Sussex and Supreme Champion Suri: Houghton Chancellor owned by Houghton Hall Alpacas, Cambridgeshire. Organised by the British Alpaca Society, the South of England Alpaca Competition is a firm favourite with visitors and an unmissable event for the region’s many alpaca breeders. The two-day show is run to strict BAS rules which adhere to the accepted worldwide standards for showing alpacas and fleece. For information on how to enter the 2019 Alpaca Show please contact Liz Butler on 01737 823375 or llamaliz@hotmail.com.